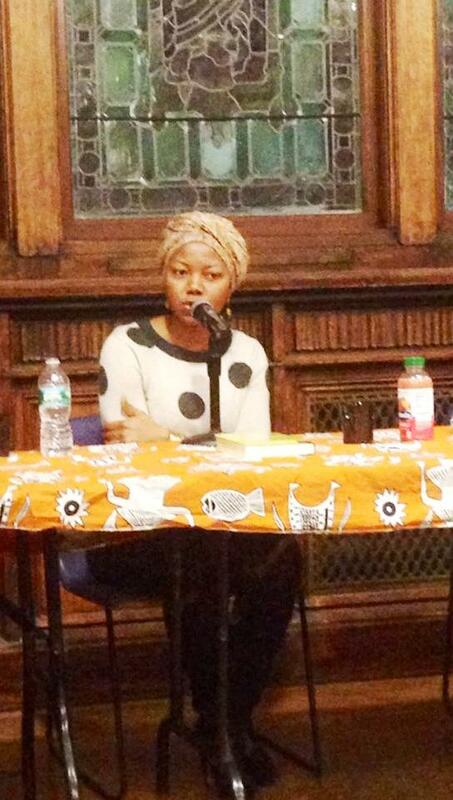 Dozens of die-hard African literature aficionados and book lovers thronged into Sheppard Hall at City College New York (CCNY) in Harlem Thursday for Zimbabwean author, No Violet Bulawayo’s lecture at the conclusion of the Fall 2014 Chinua Achebe Legacy Series. The lecture series presented by the Black Studies Program and launched in September this year was created to pay tribute to the late Mr. Achebe, a Nigerian academic, critic, writer and a former visiting professor at City College, said Dr. Cheryl Sterling – director of the Black Studies Program, and a Professor in the English Department at CCNY. Professor Achebe, whose first book Things Fall Apart published in 1958 is the most important and widely read book in African literature, selling over 12 million copies and translated into 50 languages, making Professor Achebe the most translated African writer of all time. “The Chinua Achebe Legacy Series is both a celebration of Achebe's amazing achievements and an opportunity to introduce our collective communities to the new generation of talent coming from the African continent,” Dr. Sterling said of the four-month long series in a statement. Adding, “He is an inspiration to anyone who studies the culture and literature of Africa,” Dr. Sterling said. According to Dr. Sterling, Sefi Atta, an award- winning Nigerian playwright and author of “A Bit of Difference,” “Swallow” and “Everything Good Will Come” was initially, scheduled to deliver the series 2014 final lecture. However, she cancelled her engagement due to an emergency that required her to travel to Nigeria. 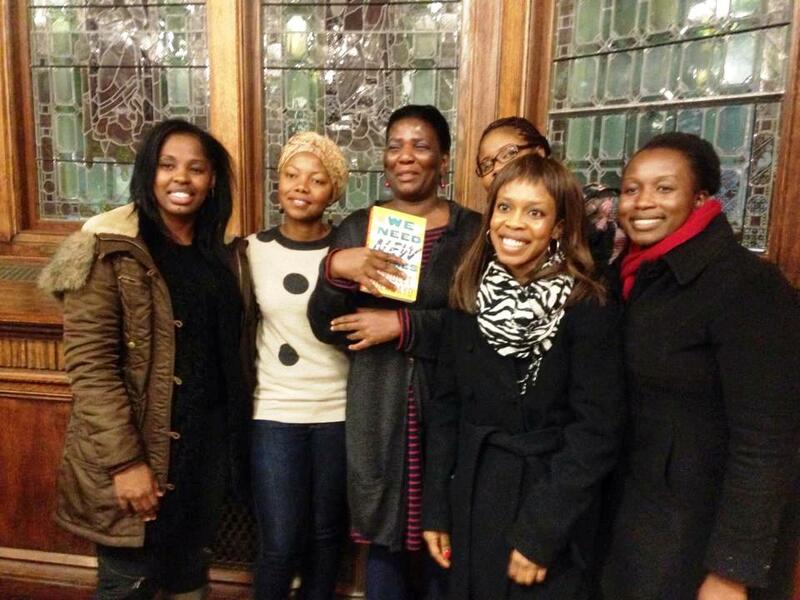 The choice of Ms Bulawayo as a replacement eventually paid huge dividends as many people who attended Thursday’s lecture said they did so because of the selection of Ms Bulawayo, author of multi-award winning “We Need New Names,” to deliver the Fall 2014 final lecture. Arao Ameny, a Ugandan and founder of New York City based Association of African Journalists and Writers (AAJW) said she was encouraged by the conversation specifically by Ms Bulawayo’s call for more dialogue between African writers in the continent and the Diaspora. “As Ms. Bulawayo stated, there are so many opportunities for us to learn from each other, mentor each other and exchange ideas to see what we are all working on. That was powerful for me to hear. She said they are so many African writers who are not known yet and we should focus on them too, not only those living in the Diaspora who have gained recognition.” Ameny recapitulated. The Black Studies Program, CCNY and Dr. Sterling must be applauded for their efforts to honor one of Africa’s greatest authors and for their continuous engagement of a vast array of African writers with the African community in Harlem. “These are people who are actively creating and molding Africa's many and ever-changing narratives. To be in their presence, talk to them, exchange ideas, and even laugh with them brings me absolute joy,” Ameny sums up her experience from the lecture series. The Chinua Achebe Legacy Series would resume its Spring 2015 lectures on February 5 with Nigerian/Ghanaian author Taiye Selassie, Nigerian Chris Abani on March 12 followed by Kenyan Ngugi Wa Thiong’O on April 23, respectively. Dennis is a Federal Communications Commission (FCC) Licensed radio engineer, print reporter, producer and news director of African New Dawn Radio heard over WRSU, 88.7 FM at Rutgers University in New Brunswick, New jersey. He is currently a reporter and producer for Pacifica Network Station WBAI, 99.5 FM Morning Show in New York City. He formerly served as international news editor at Rutgers University's WRSU, 88.7 FM News at 10 ; record review contributor and office manager of Accent/LA Publications in Los Angeles and a co-founder of Kronick Magazine in Los Angeles.